Happy Blog Anniversary! coconut bread is a great way to celebrate!! Congrats on 4th anniversary.. Cake looks soft & delicious.. The bread looks so yumm ! Congrats and happy blogging dear Priya.. Mouth watering yummy recipe.. Happy 4th year bog anniversary Priya, and 100 of these days!! Lovely eggless sweet bread too! Happy 4th Bloggersary!! I love to use dessicated coconuts in my baking too. They add such a strong aroma to our bakes. Your cake is just perfect to celebrate this special occasion. Happy B'day to your baby Blog. Cake looks soft and super delicious. Nice bake. Happy 4'th birthday :D to an enthusiastic chef and a wonderful friend. May you have many more reasons to enjoy and feast. Perfect and moist cake for the occasion. Happy Birthday to your blog and wishing many more to come!!! Ton cake est magnifique. J'en mangerai avec plaisir. Très bon 4ème anniversaire et longue vie à ton blog. Bravo pour tout ce que tu proposes tous les jours. Un sacré travail. very inviting Priya.... happy blog anniversary.... Congrats...can I have some bread please?? Heartiest congratulations Priya on the 4th anniversary of your blog. Thank you for all the wonderful recipes you share, and keep it up. 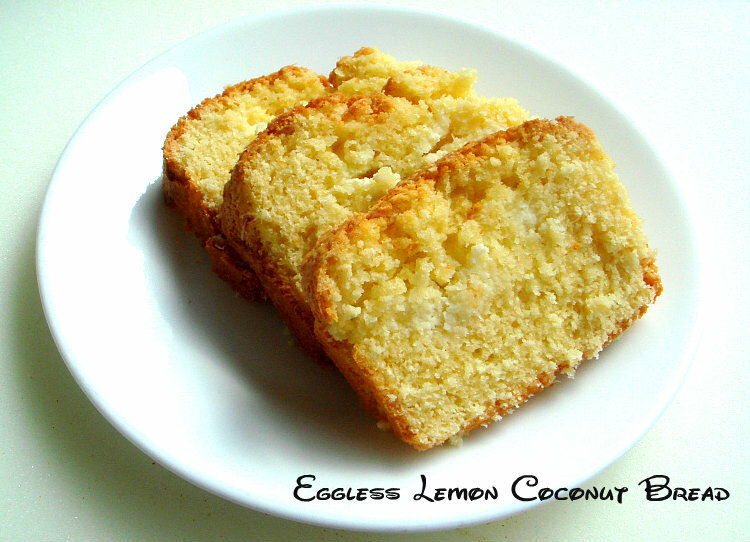 This lemon coconut bread is calling my name, absolutely yummy! A way to go Priya.... Happy blogging and cooking. A wonderful treat with cake. Congratulations Priya..Happy blog anniversary....cake looks wonderful and yummy. 4 yrs of blogging! That is such a long time! Big big congrats! The came looks lovely , Bookmarked! Wowo 4 year, congragulations and wishing you and blog many many happy years together. Happy Blog Anniversary!! Yours looking super tempting and delicious. Congratulations! 4 years is awesome... love your delicious, healthy recipes.... wishing you many more years of blogging. Wish your lovely blog many more years dear :) And lovely recipe!! looks so lovely priya! never baked with coconut before! Happy 4th Blog Anniversary, my dear friend...wishing you many more for your wonderful and successful blog! 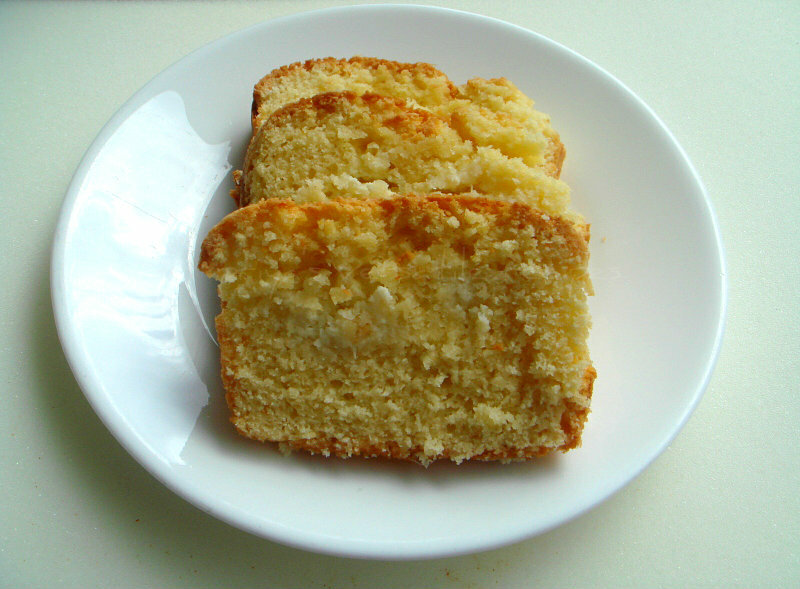 I love, love your coconut bread, and NO eggs?...well, no wonder; you're the 'quenn' of NO eggs cake recipes. Perfect way to celebrate your Blogeversary :) Many more years to fun recipes ear :) Cakes looks moist and too inviting!! Congratulations on your 4th blog birthday and wish you many many years of blogging! Nice cake and lovely way to celebrate the birthday! Congratulations and Happy anniversary Priya. Kudos to you for keeping up the enthusiasm. Bread looks delicious! I am very excited for you and your upcoming innovative yummy recipies! eggless cake turned out perfect as usual for this spl day.. Happy blog anniversary.I miss you dear. Happy blog anniversary... great going.. Happy 4th Blog Anniversary.. A delicious bread to celebrate the occasion.. Happy anniversary. Wish you many more milestones. You are amazing Priya! Congrats on the anniversary and wishes for many more to come..that cake looks so soft and crumbly!